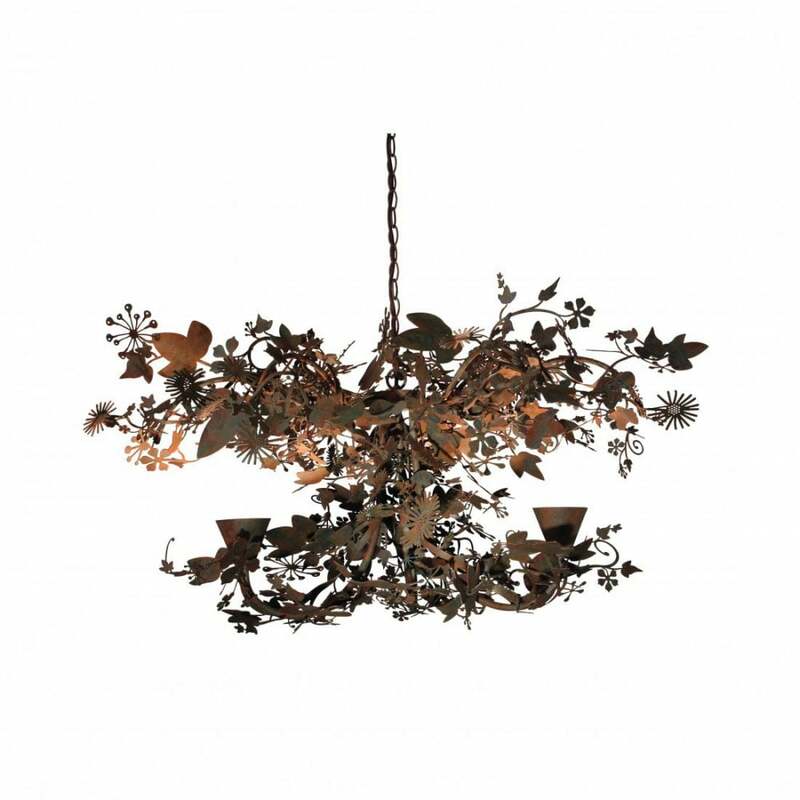 A small version of Tord Boontje's iconic piece from the Enchanted Forest collection. Debuting in Porta Romana's new beautiful Forest Rust finish, this version is made up of a sprawling upper canopy and 3 lower level arms. Once again, the charm and magic of the piece is only fully realised when it is lit and you see the wonderful shadows dancing around the room. Available in Forest White, Forest Gold, Forest Silver and the new Forest Rust finish.